The U.S. Food and Drug Administration (FDA) raided nine stores in Central Florida that assist customers with placing orders for low-cost prescription drugs from Canada and other countries, Kaiser Health News reported Monday, suggesting a shift away from a long-standing policy that benefited consumers but was strongly condemned by the pharmaceutical industry. “The storefronts primarily serve seniors who prefer in-person assistance with buying medicines from Canada and other countries, rather than using an internet site,” Kaiser reports. Bill Hepscher, co-owner of six of the stores raided last month, estimates his business serves about 10,000 people a year, and that Florida has about 20 stores similar to his. His stores are located around Tampa Bay and Orlando. The late October raids indicate an apparent reversal of a long-standing “non-enforcement” policy; although importing medication from foreign countries is illegal, rather than filling prescriptions, these stores simply help customers place orders that ship directly to their homes. Some of Hepscher’s stores that were raided have been operating for more than 15 years. The FDA agents told Hepscher that anyone who helps “administer” illegally imported drugs could face fines or prison. They served him with a search warrant for computers, paperwork related to sales, and any medications found on site. Although they left the computers, they took copies of customers’ paper files as well as the stores’ financial and bank records. Agents also left him with a letter—which he refused to sign—to acknowledge his company’s practices as illegal. Hepscher told Kaiser he found the timing interesting considering that U.S. president Donald Trump had campaigned on the promise to lower prescription drug prices—and even accused major pharmaceutical companies of “getting away with murder” shortly before he took office. But despite Trump’s recent claims that he wants to help bring drug costs “way down,” the president came under fire last week for nominating Alex Azar, a former Big Pharma executive, to head the U.S. Department of Health and Human Services. 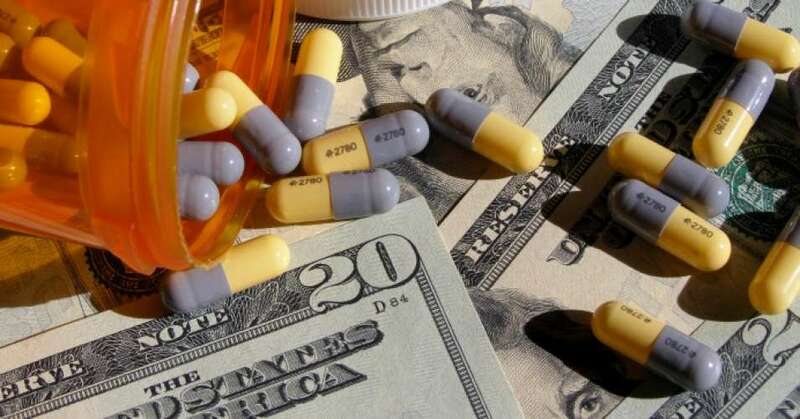 For years, bipartisan efforts in Congress to lower drug costs and allow Americans to import drugs from Canada and overseas have been thwarted by lobbying by drug companies and Pharmaceutical Research and Manufacturers of America (PhRMA), a top drug industry trade organization. In February, Sen. Bernie Sanders (I-Vt.) and group of lawmakers introduced a bill that would allow those with valid prescriptions to import cheaper drugs from Canada. However, the legislation has not garnered enough support to move forward. This entry was posted in Antitrust, Civil Rights, Corruption, Economics, Government, Health Care, International Agreements, Social Justice, Women's Issues, Workers' Issues and tagged Alex Azar, Atrocities, Bernie Sanders, Big Pharma, Bill Hepscher, Canadian International Pharmacy Association, Capitalism, Civil Rights, Democracy, Donald Trump, Economics, FDA, Florida, Health Care, International Agreements, pharmacychecker.com, prescription drugs, social justice, Women's Issues, workers' issues on November 21, 2017 by ew.